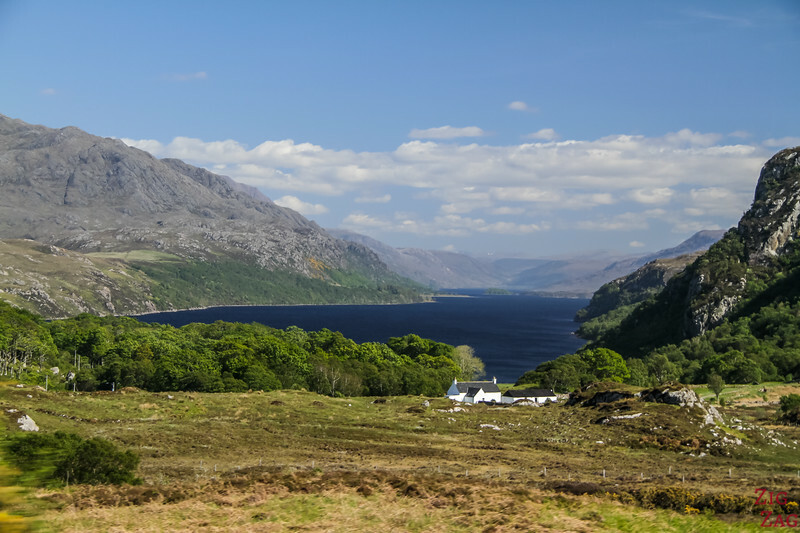 Below is a short video of Loch Maree Scotland and a little bit of the rest of the Wester Ross region. 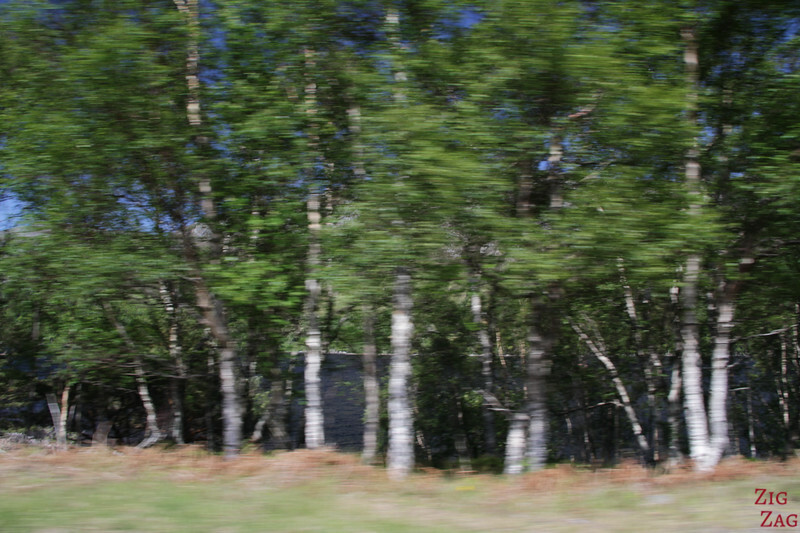 I seem to have been so in awe of the scenery that I did not film much. Sorry! 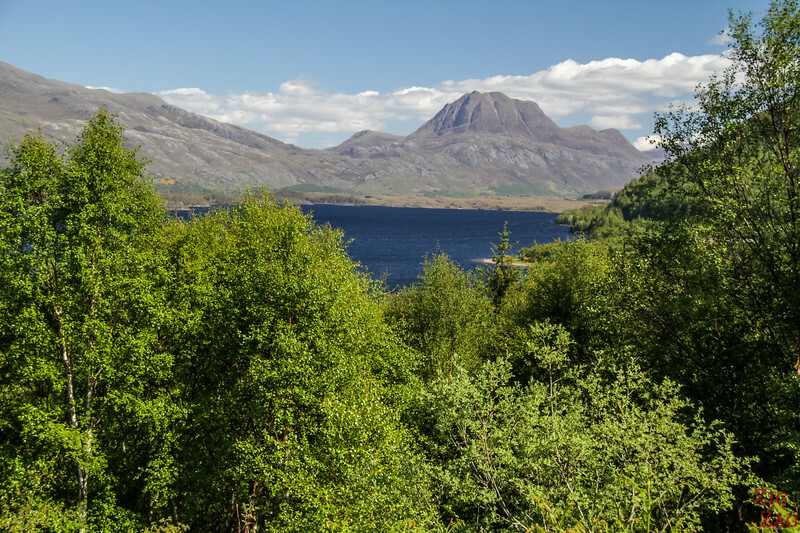 With 20km in length, Loch Maree is the 4th largest freshwater lochs in Scotland... and one of the most beautiful lochs in Scotland ! 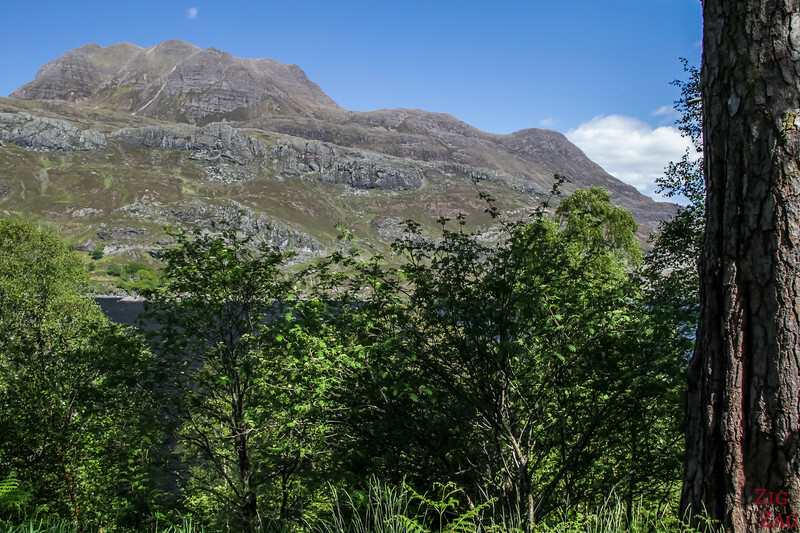 It is a wild protected area between the forest of the Beinn Eighe Nature Reserve and the Slioch Mountain on the other side. 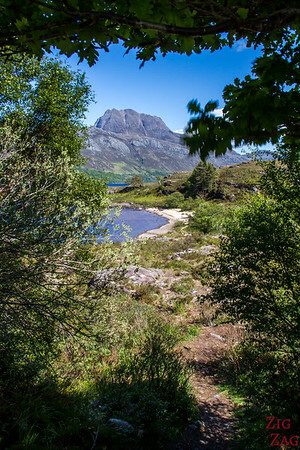 Loch Maree Scotland is famous​ for its stunning scenery and rare plants and animals, as as for its wooded islands. 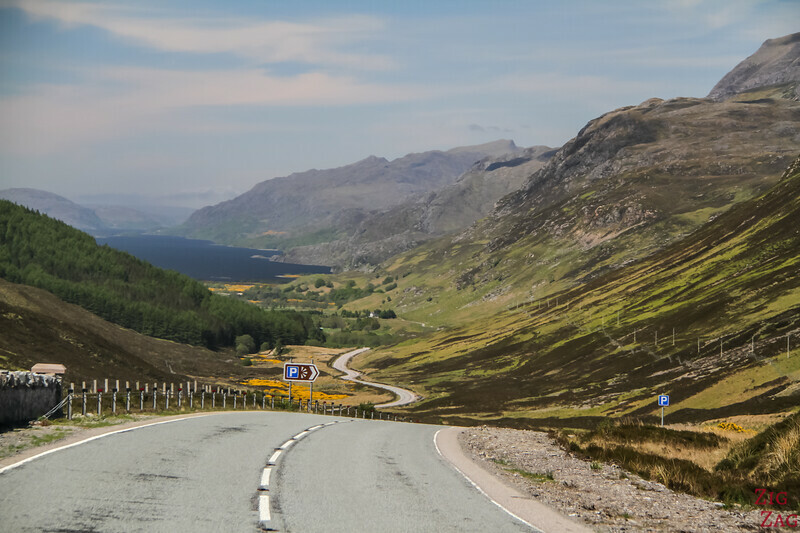 The GPS coordinates of all locations in this article as well as their identification on practical maps are available on the Travel Guide eBook: The Road Trip Guide Scotland. 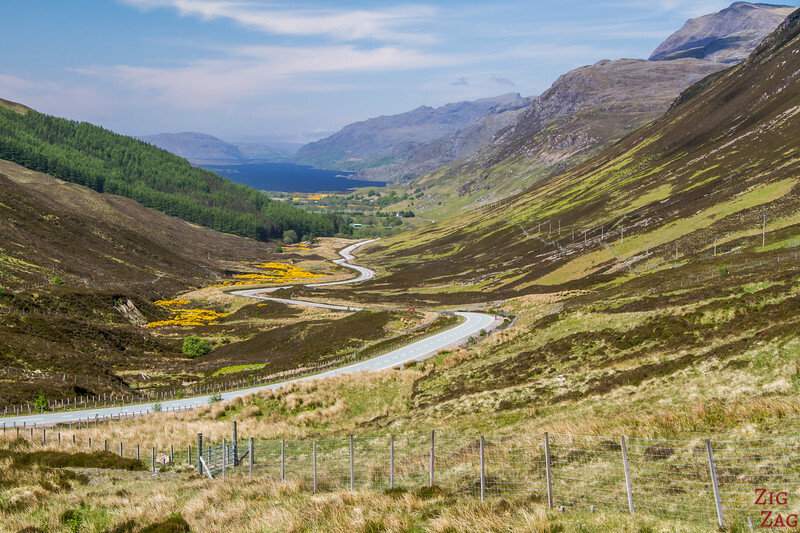 As you drive on A832 Through Glen Docherty getting closer to Loch Maree Scotland, you will notice a sign for a parking and a viewpoint. On a clear day it is a great place to have a break. 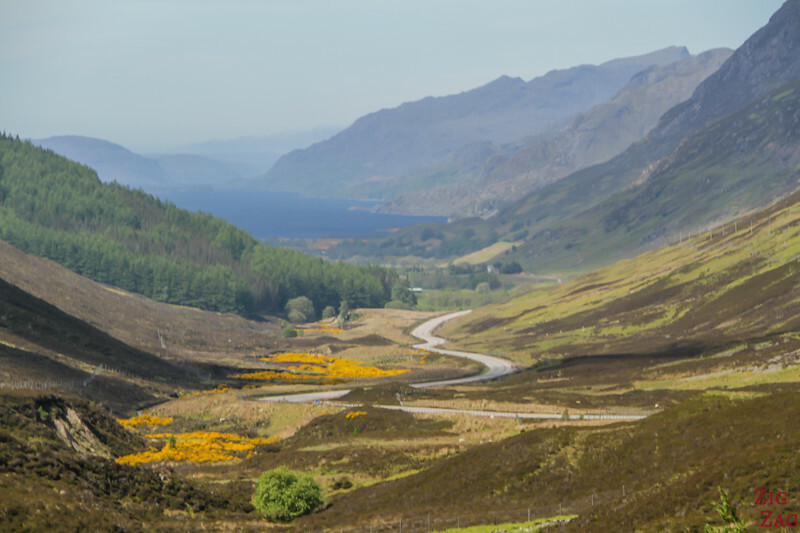 The light was not good for photography but you still get an idea of the view the the road leading to Loch Maree. 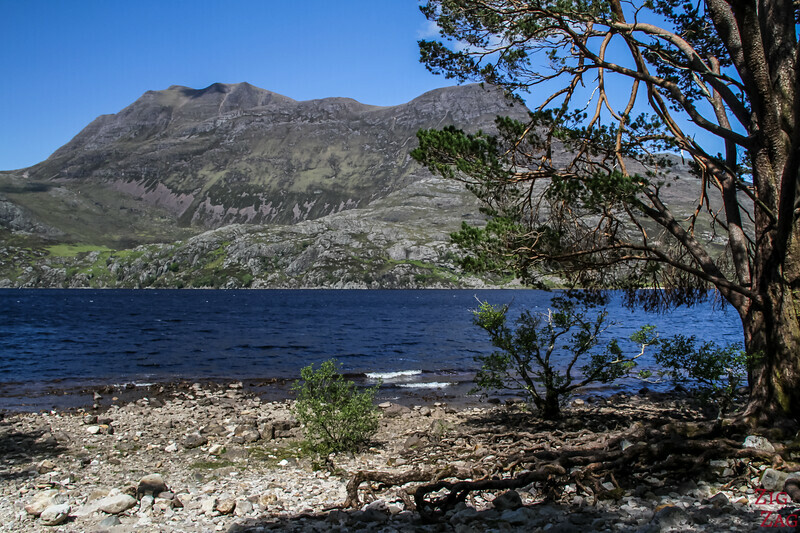 Loch Maree is on the east side of the Beinn Eighe National Nature Reserve. 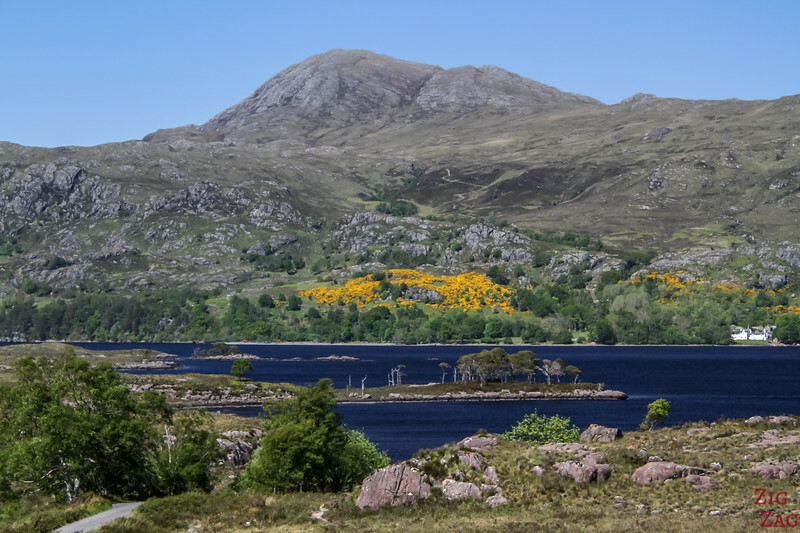 The mountainous area established in 1951 is Britain's oldest national nature reserve. 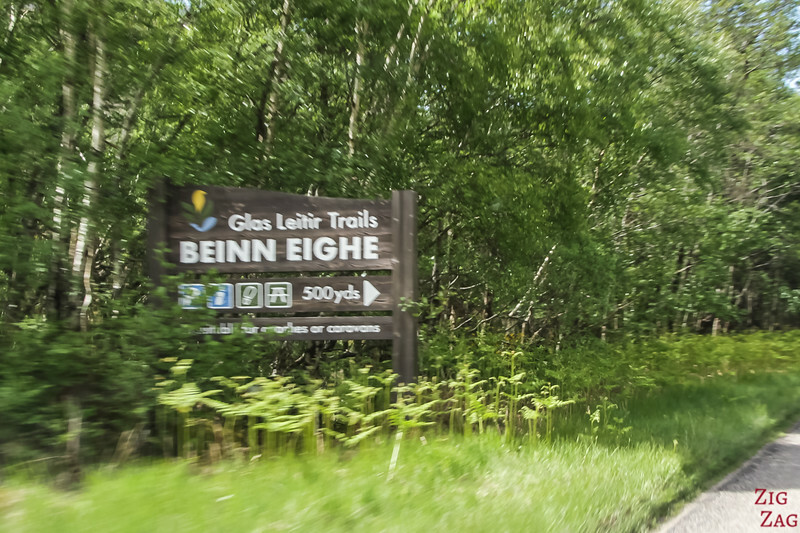 As you reach the shores of Loch Maree Scotland, you will see a sign for the Glas Leitir Trails parking. The Area is will set up with picnic tables and toilets. 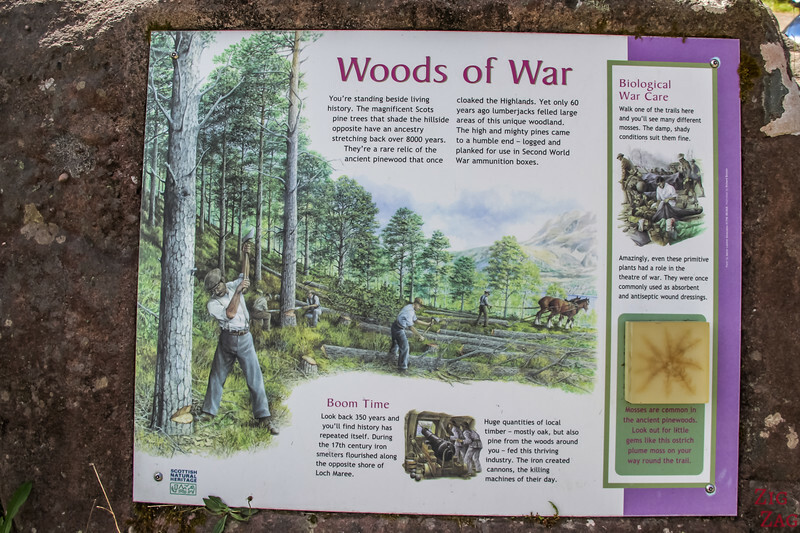 You can learn more about the woods and the history of the region. 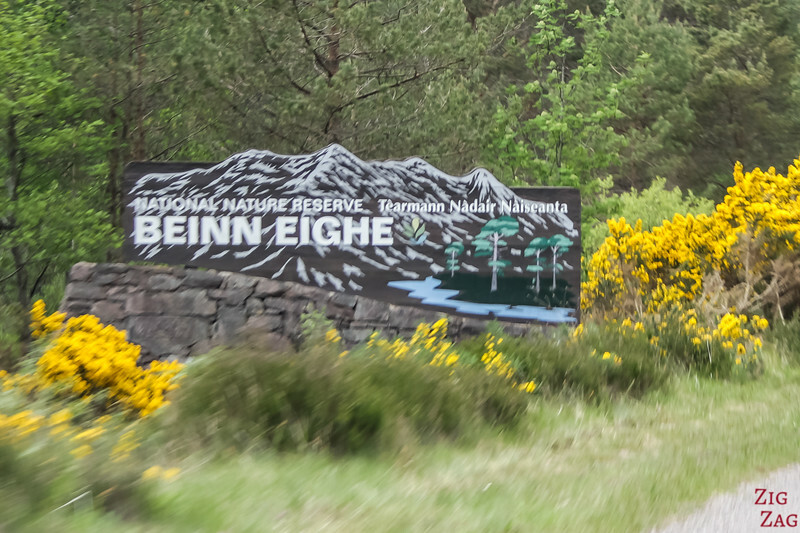 A trail trough the pinewood forest starts here. 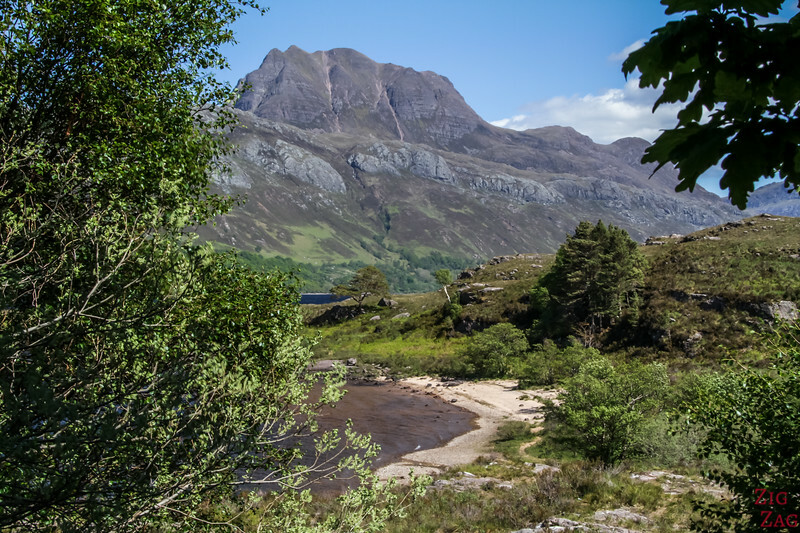 Or you can just relax on the shore of Loch Maree and admire the view. 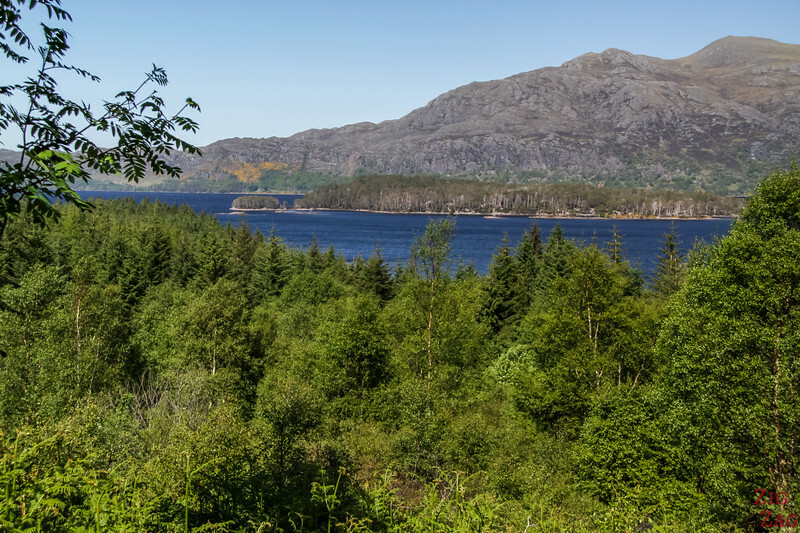 Luckily further along the road, there are no more trees and you can see the panorama unobstructed. 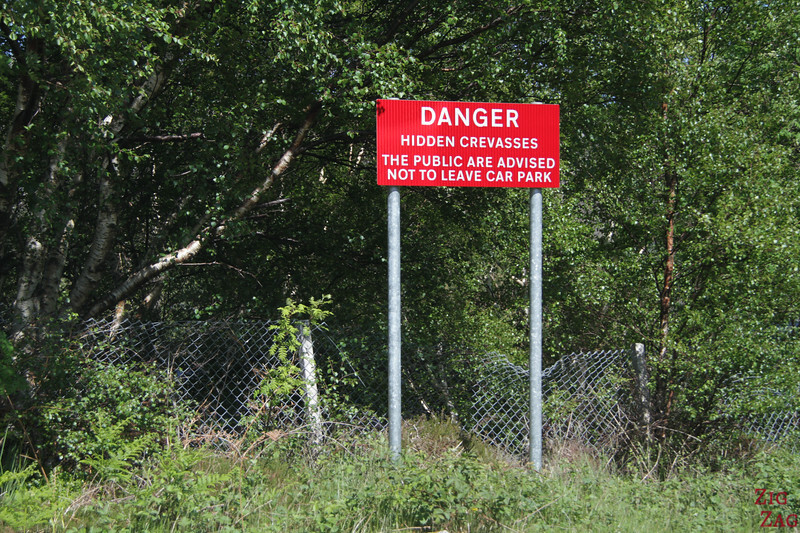 We found another parking area but it was surrounded by trees and the sign kind of stopped my exploring. 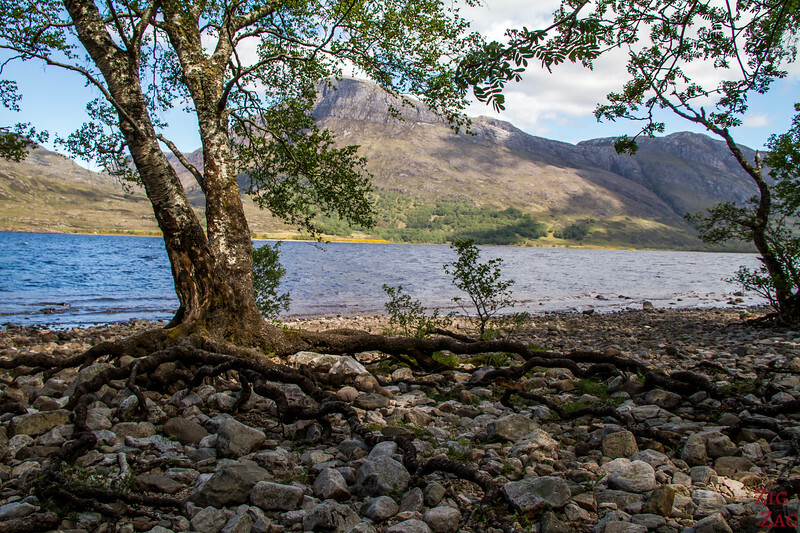 But I still found a little spot from the parking where I could admire the mountain of Slioch. 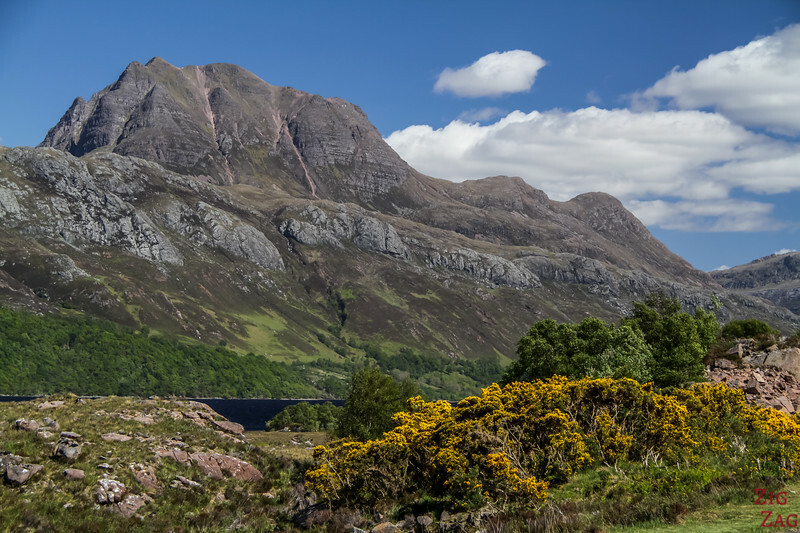 Located to the North of Loch Maree Scotland, Slioch reaches a height of 981m (3218ft). It translates to the Spear and its shape is intriguing and easily recognizable. (Learn mor eon Wikipedia). Ascension is mostly from one side has the others are too steep. 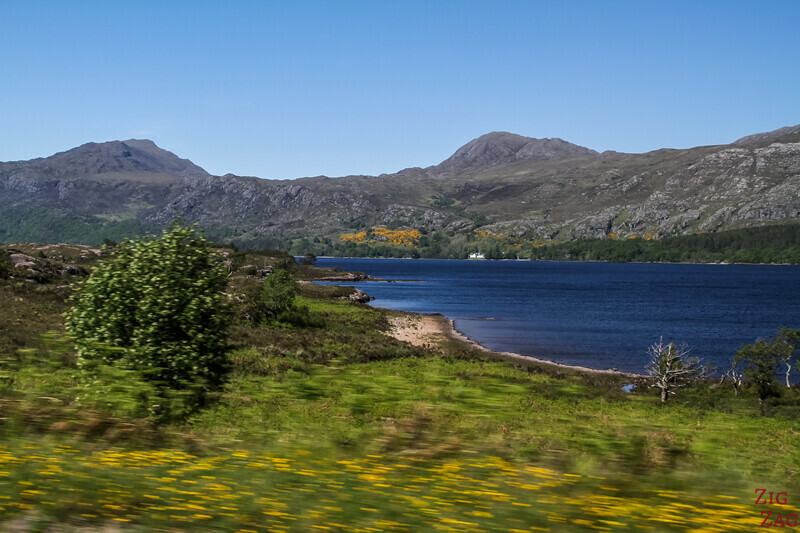 After leaving the shore of the Lochs, the roads gets you back along the water and you can see some of the islands. 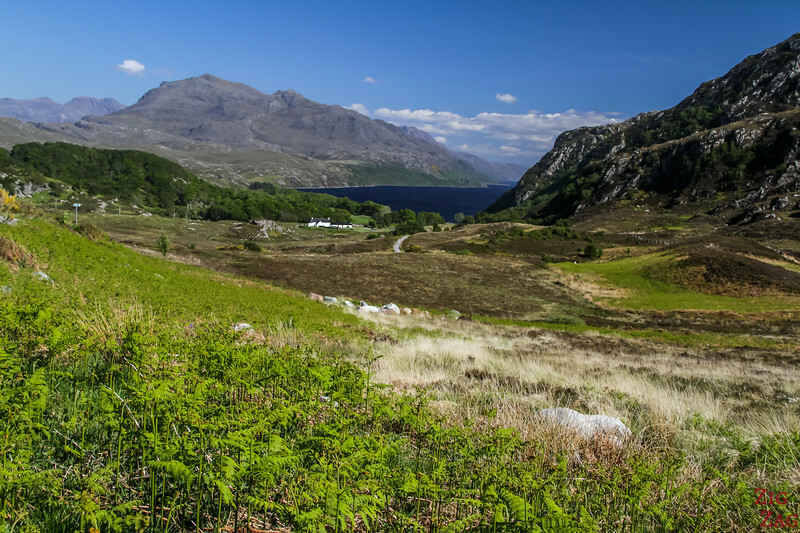 I did not have enough time to stop and explore (as we had a long drive through Wester Ross ahead) but I wish I had. 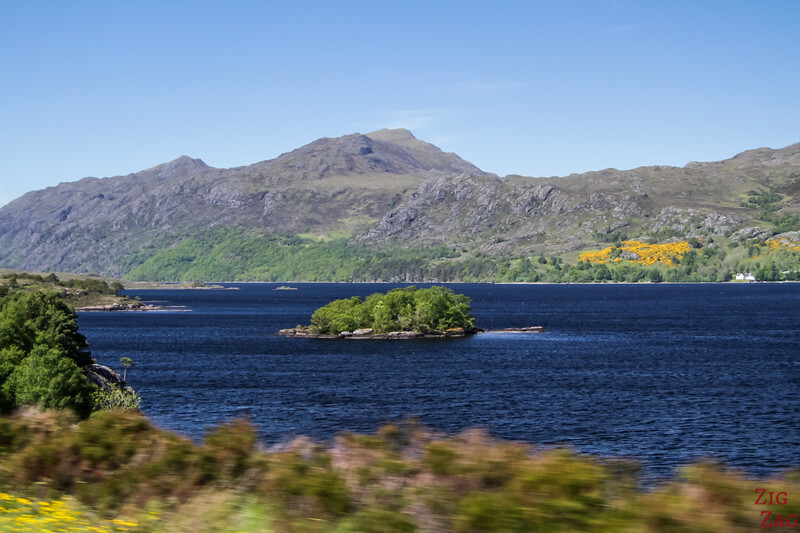 Loch Maree is home to 66 islands. Some of them protect pristine remnants of Pine wood. Some of the trees are over 350 years old. 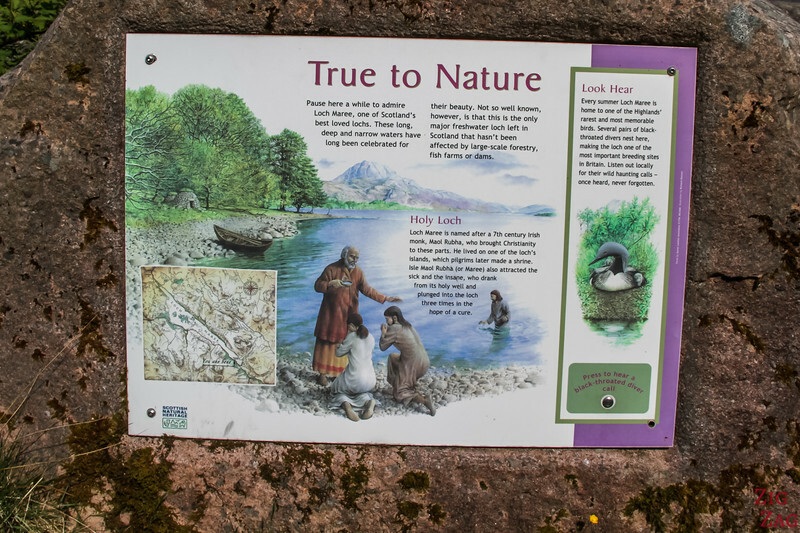 The Last stop before the road leaves the Loch is at Slattadale. 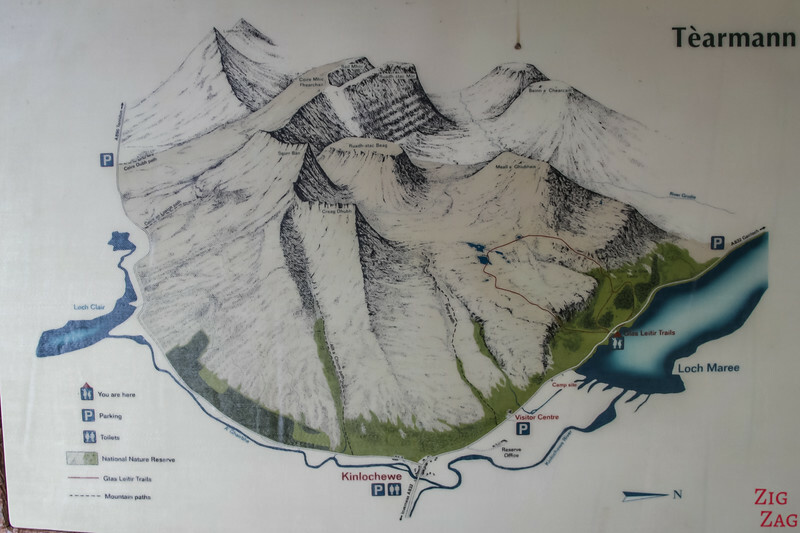 I did not stop, but you can go by the shore and enjoy a picnic (parking, tables, toilets). 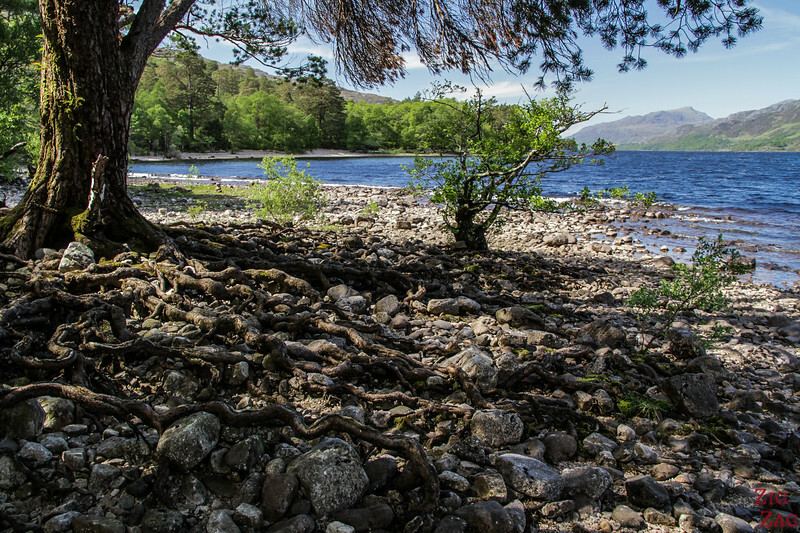 You can enjoy many walks of varying difficulty in the area. 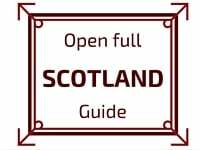 Walk Highlands lists the walks in the wider area. 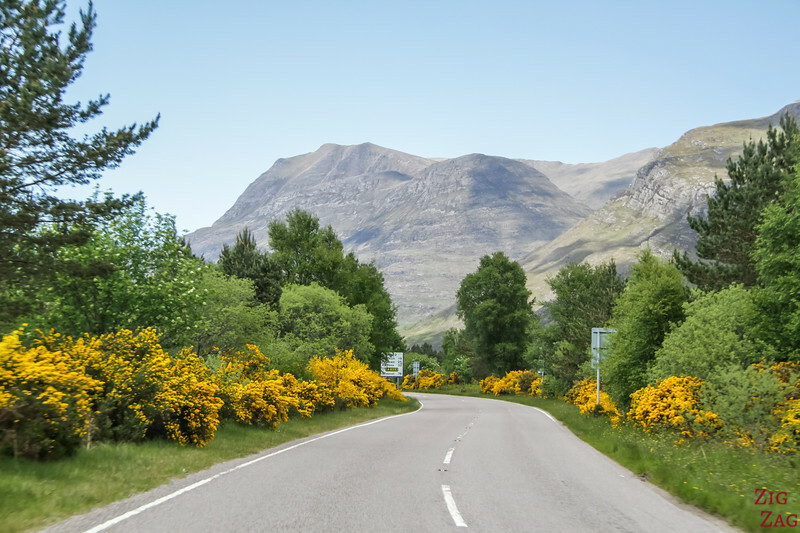 If you continue exploring Wester Ross on A832, it takes you towards to coast before turning North. 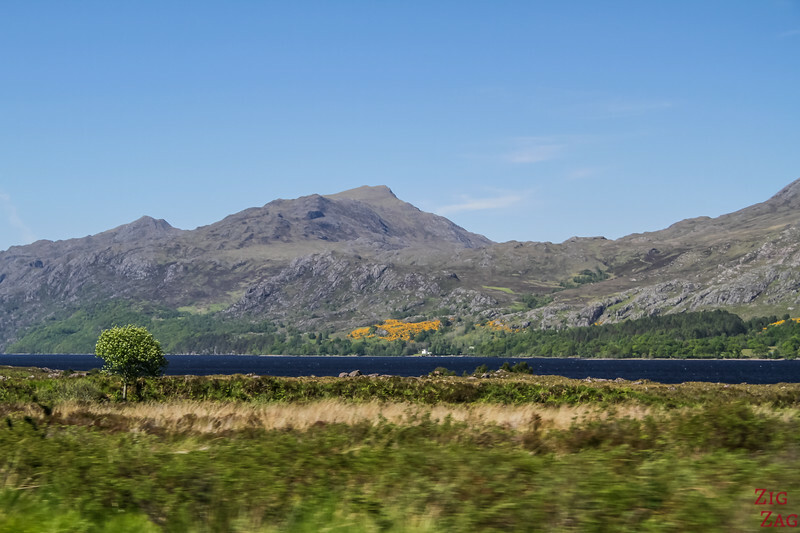 At one point you get the chance to discover another view of Loch Maree Scotland as the road drive by the North West head of the Loch (before Poolewe). What do you think of those colors?